Having great legs is a real source of pride for women who stay active and keep fit. But when spider veins appear, they can make you self conscious about your legs, no matter how shapely they may be. Spider veins are visible veins that appear as red, blue, or purple clusters anywhere on the legs. If you are plagued by spider veins, the first thing you should know is that this is actually quite a common problem and can occur to both women and men as early as their 20s. Spider veins can be caused by factors as diverse as heredity, pregnancy, hormonal shifts, running, weight gain, and extended periods of time spend in either sitting or standing positions. Some women respond by covering their legs, while others take action against the unsightly problem with Spider Vein Removal. Edgewater and Hoboken Cosmetic & Laser Centers offer this procedure for women who want that smooth, clean look of a healthy, shapely leg without the presence of spider veins. How is Spider Vein Removal performed? Spider Vein Removal is performed by directing a long-pulsed wavelength of laser energy at the spider vein, thus collapsing and destroying it right through the skin. With four variable settings to the powerful Focus Medical NaturaLase LP laser coupled with Zimmer Cryo aesthetic chiller, you can be rest-assured you will have an effective, customized, safe, and pain-free experience backed by a well-qualified cosmetic laser specialist. 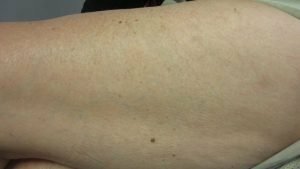 The unique aspect of this technology is that it can be applied to any part of your legs, chest, arms or face to treat those unsightly spider veins. Sessions tend to take less than one hour, and one to three sessions are usually required for best results. The Focus Medical NaturaLase LP long pulsed Yag laser is the gold-standard in treating spider veins as well as for laser hair reduction in darker skin types. Another method used at the centers for spider vein reduction, especially of the legs, is the Intense Pulsed Light source of the NFocus Medical Naturlite IPL medical devices. A consultation with the chief laser specialist and medical director, Dr. T.G. Khan at Edgewater and Hoboken Cosmetic & Laser Centers will help determine which laser and the number of sessions needed to customized the procedure just for you. 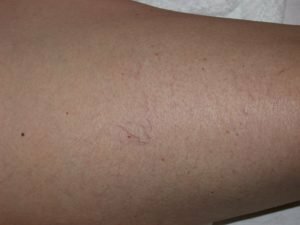 Why should I go to Dr. Khan for Spider Vein Removal? Why is a consultation needed? There are some risks associated with Spider Vein Removal, so your consultation with Dr. T.G. Khan is extremely important. He will inform you of these risks – such as bruising and discoloration â€“ and enable you to take your time to determine which procedure is right for you. Dr. T.G. Khan’s presence as medical director makes Edgewater and Hoboken Cosmetic & Laser Centers the reliable and trustworthy choice for all your cosmetic needs, especially for your Spider Vein Removal. 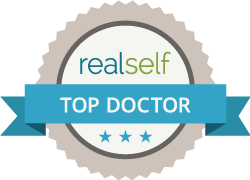 With his status as a board-certified physician, comprehensive training in surgical and non-surgical cosmetic procedures, expertise in Oculoplastic and Reconstructive Surgery, and top-tier training in the use of cosmetic lasers, Dr. T.G. Khan is fully qualified to discuss any and all options available to you. His warm and caring demeanor will set you at ease and ensure that the comfortable decisions you make are fully informed and thought out. Remember: your cosmetic decisions are yours and yours alone to make, and we are here to guide you in your choice to beautify and rejuvenate yourself. Call Edgewater and Hoboken Cosmetic & Laser Centers today at 201.313.8899 to set up an initial consultation.